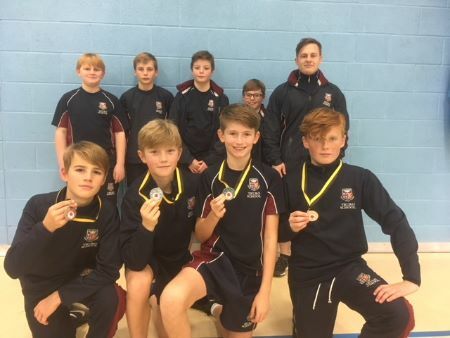 We entered three teams into U13s category for the table tennis tournament at Penryn college. These 3 teams had 4 players in each team and we labelled each team A, B and C.
After a hard first opener sadly our B Team came out second place loosing 6-2 in games against Penair. Our C team however won there first match against Mounts Bay drawing 4-4 in games but going through on points difference. Our A team also triumphed with a 6-2 opener. It got interesting however when in the semi finals Truro A were drawn against Truro C in which turned out to be quite a hard fought contest. It was nice to see the matches performed with high spirits and laughter but their could be only one winner and Truro booked their place in the final. Truro A were facing off against a strong Richard Lander team in the final and not one one second did I believe the players felt the pressure. They battled hard against a very experience team of county standard table tennis players narrowly loosing 5-3 in games. All the 12 players of all 3 teams performed exceptional in and really done the Truro School badge proud. Credit to the Truro A for grabbing some runners up medals and credit to all players who played in there first ever table tennis competition.